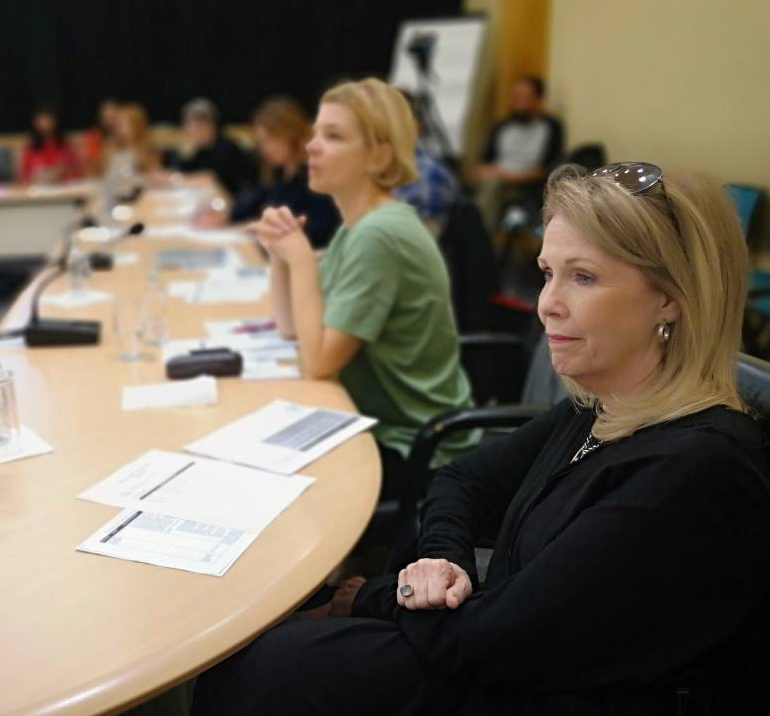 On October 1, 2018 MEASURE-BiH hosted Dr. Tessie Catsambas. Dr. Catsambas brings 30 years’ experience in planning, evaluation and organizational development and is prominent in the international evaluation community. Dr. Catsambas is a President Elect of the American Evaluation Association (AEA) for 2019, Associate Director of Business Development and Outreach for The Evaluators’ Institute (TEI), and founder and CEO/CFO of EnCompass LLC, an organization that provides services in evaluation, learning, leadership and organizational development. Dr. Catsambas was also a founding member of the EvalPartners Coalition, a global initiative to promote the use of evaluation to inform policy and program decisions. 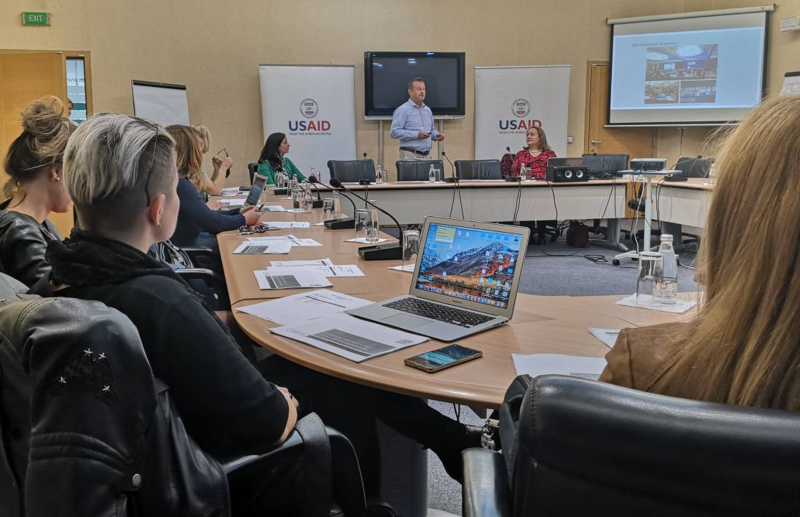 During her stay in Sarajevo, Dr. Catsambas delivered a one-day proactive workshop on Recent Trends in Evaluation to MEASURE-BiH Research Fellows. The workshop covered Policy-Relevant Evaluations and methods and competences required for conducting such evaluations. 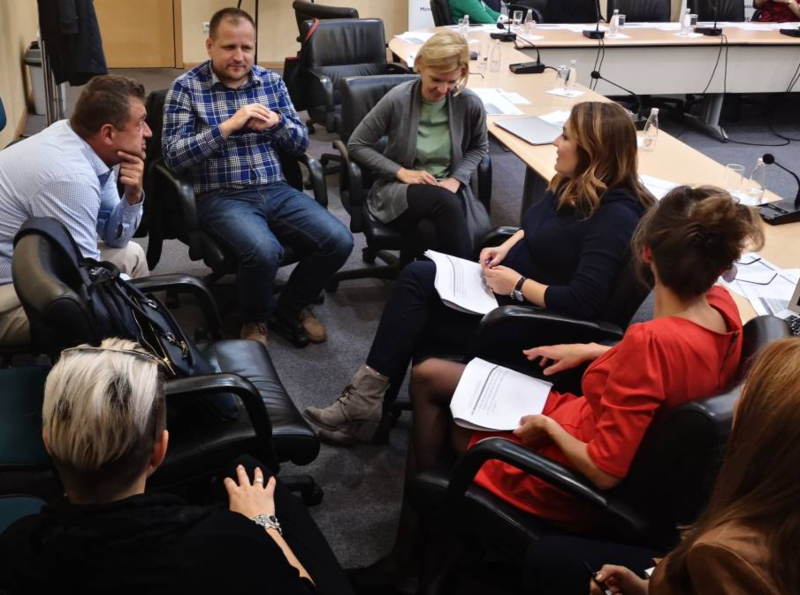 During the workshop, special attention was paid to the BiH evaluation context.